Hey y’a pas eu de Son depuis une moment par ici! En voilà un qui devrait te plaire et te décoiffer le brushing! 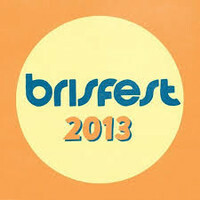 Un mix de notre ami Guy pour le Brisfest 2013…. Brisfest is a not-for-profit celebration of the Best of the South West, showcasing rising stars and future talent from the region alongside international headliners. There’s 15 stages covering everything from Bands and DJs to Comedy and Circus, Street Theatre and Walkabouts. We aim to cover as many genres as possible so whether you’re into raving, moshing or simply exploring we’re sure you’ll stumble on something exciting. Brisfest also features a huge arts programme with renowned graffiti artists, massive sculptures throughout the site, digitally projection mapped stages, and many cutting-edge interactive installations. For those looking for something a little more chilled there’s a permaculture garden with acoustic acts around the fire, cinema tent, Body and Soul area, and workshops ranging from African Drumming to Salsa Dancing. For the little ones there’s a kids area with a new fully programmed stage in a covered tent, arts and crafts, dance classes, fun fair and inflatables. Then when you’re hungry there’s a wide range of world and locally sourced foods, as well as clothing and gift stalls from many local traders. …and if all that isn’t enough once again there’s an amazing programme of after parties to take you into the small hours. ← LE RETOUR DE LA STAN SMITH!